A group of students last month began occupying the office of Jodi Kelly, dean of the school’s Matteo Ricci College. On Wednesday, the sit-in’s 22nd day, she was placed on administrative leave. Seattle University’s interim provost has placed Jodi Kelly, dean of the school’s Matteo Ricci College, on administrative leave amid a student protest over the college’s culture and curriculum. The college’s chaplain and co-founder, John Foster, also was placed on leave. In an email to the college’s community, Interim Provost Bob Dullea said Kelly will remain on leave pending the outcome of complaints filed in the school’s Office of Institutional Equity and a “broader review of issues” regarding her position. No details were available. “I have taken this action because I believe, based on information that has come forward over the past several weeks, that successful operations of the college at this time require that she step away from day-to-day management and oversight,” Dullea wrote in the email. Kelly could not immediately be reached for comment. Seattle University spokesman Dean Forbes said he had no further details about the reason for placing Foster on leave. Earlier this week, student newspaper The Spectator reported that a recording device belonging to Foster was left in the office occupied by students. Students said they were worried their private conversations were secretly being recorded, which would be a violation of state law. 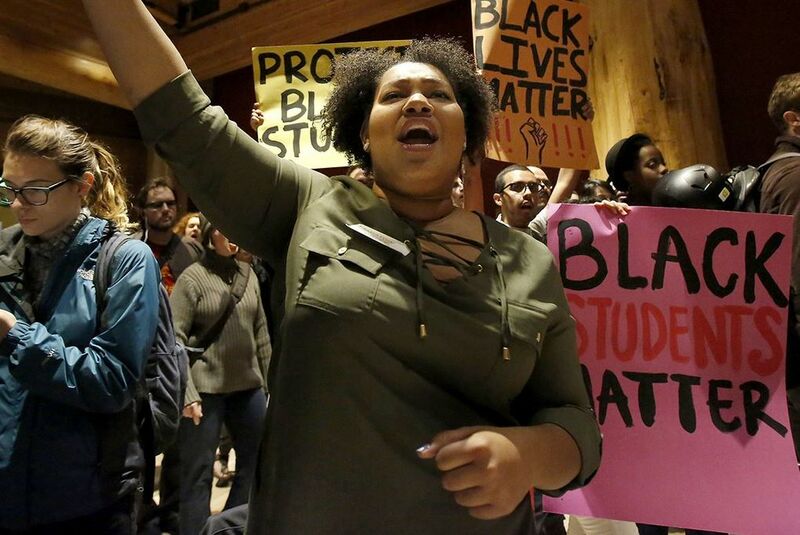 Students last month began occupying a part of Kelly’s office, calling for her resignation and changes to the college’s curriculum, which they say focuses too narrowly on Western ideas and history. They say the university — which listed undergraduate enrollment as 4,712 in fall 2015 — offers a broad range of classes that address social-justice issues, gender differences, poverty and mass incarceration — but they’re not learning about any of those things in Matteo Ricci, a small, 194-student college that teaches the humanities. Nearly 1,300 people have signed a lengthy petition online in support of the demands. In a letter to the university’s community, Seattle University President Stephen Sundborg said Wednesday the administration shares the students’ concerns over culture and curriculum and that the university is working to address them. The provost’s office will release specifics on earlier proposals later this week, he said. The president added that he supports Dullea’s decision to place Kelly on administrative leave. She was appointed to the position in 2012. An alumnus of the college has been circulating a petition on change.org in defense of her. 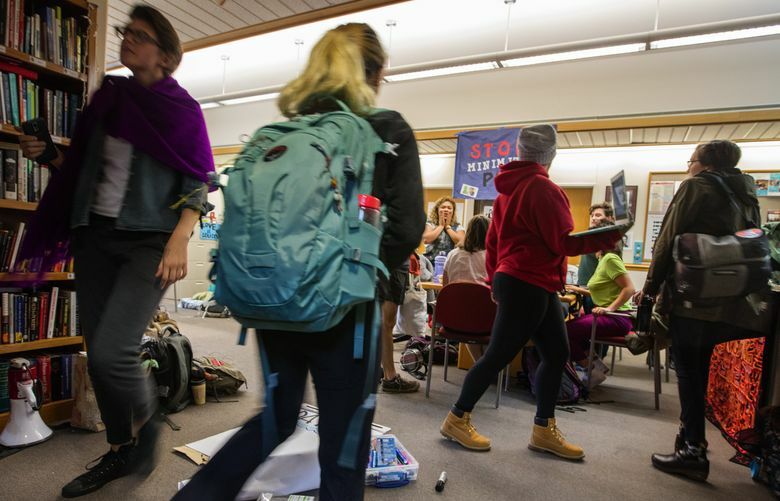 On Wednesday morning, the sit-in’s 22nd day, Dullea announced the news of Kelly’s leave to a group of about 10 students protesting at the office, said Shandra Benito, a spokeswoman for the group calling itself the MRC Student Coalition. “We believe this was a win for our organization efforts,” she said, though she added that group members have further questions for the administration about Kelly’s leave. Dullea is in the process of appointing an acting dean to take over Kelly’s duties, according to his email.